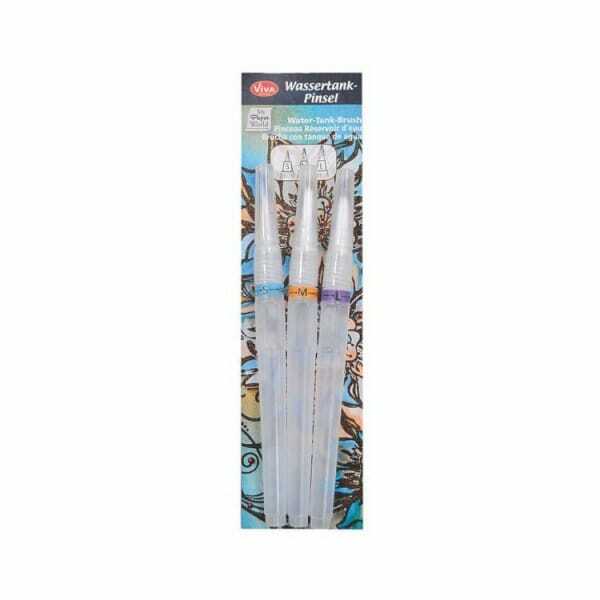 3 water tank brushes in different sizes for coloring paper with ink or watercolor. To fill the tank unscrew and top up, dip the pen into a glass of water so that its fully saturated, make sure the painting tip is regularly moistened with water, thereby creating beautiful watercolor effects. Customer evaluation for "Viva Decor - Water tank brush 3-he set"